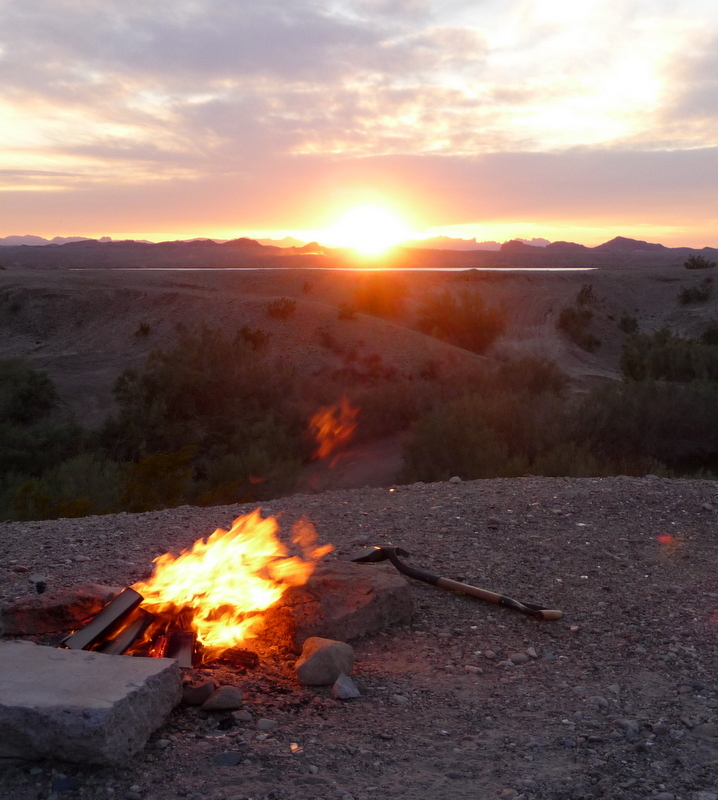 One of the beauties of boondocking, is you can be as social or anti-social as you choose. Since Bear insists on taking me on numerous walks through-out the day, this provides that perfect opportunity to say hi to the neighbors. Bear and Alex, a 12 year old Golden Retriever, became fast friends and enjoyed visiting. Turns out Alex and his parents are from the Alamosa, Colorado area, located about an hour and half from our sticks n bricks home. Small world sometimes. Saturday two more rigs pull in, friends of the Alamosa folks. Reminds me of the pioneers and circling the wagons. 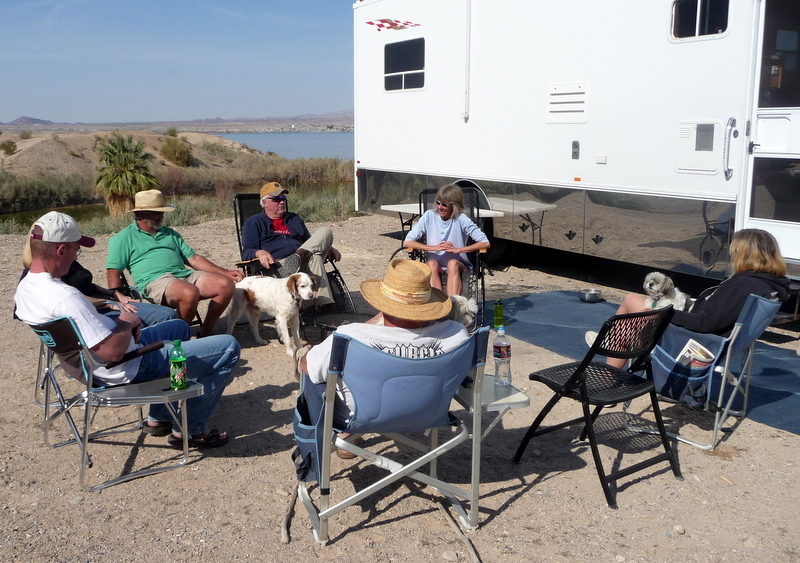 Our once quiet boondock spot is now much more crowded, but still plenty of room for more in this rather large lot, not the case in the actual campground though. They are packed in tight. 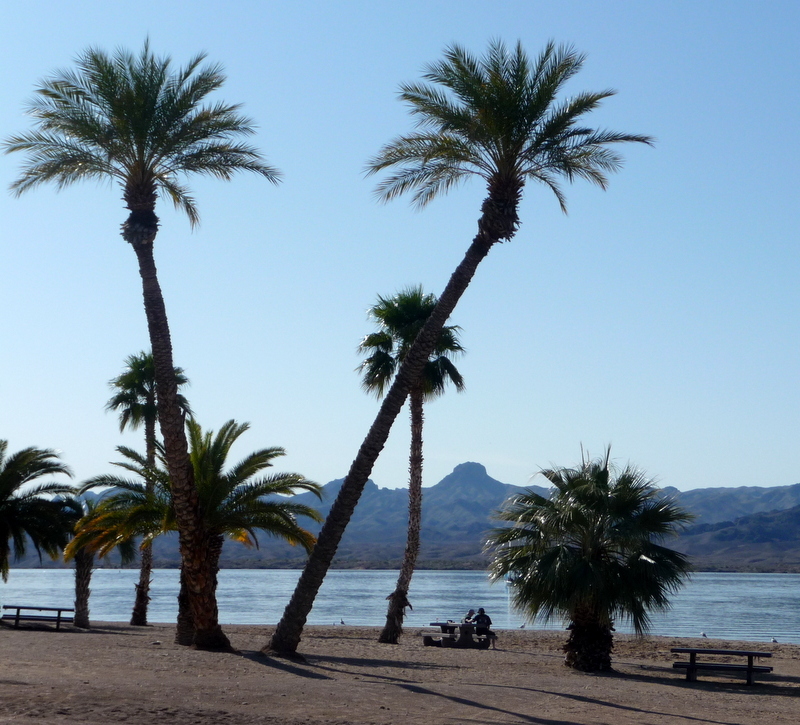 Turns out, this is a big weekend for Lake Havasu City and folks from all over come here for the spectacular fireworks and the Rockabilly Concert….big deal round these here parts! We really lucked out stumbling upon this spot on this weekend. Al and I enjoyed ourselves so much, we plan to return next year….same time, same place. By the end of our stay, we had all exchanged email addresses with the neighbors and invitations to each others sticks n bricks home. One couple happened to be full-timers and we hope to run into them again….perhaps on their way through Colorado this summer. So far, I’m really liking this gypsy lifestyle. Next stop, Death Valley!